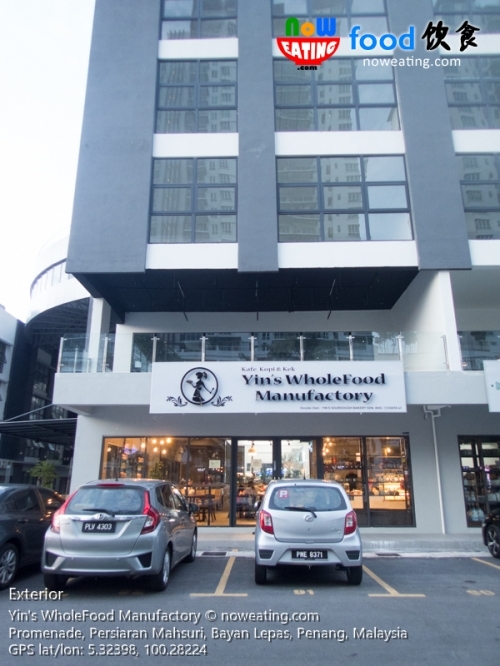 Promenade is a new commercial-residential building located between D’Piazza and Elit Avenue, so new that the parking is still free and only few shops are currently opened, including Yin’s WholeFood Manufactory (GPS: 5.32398,100.28224). 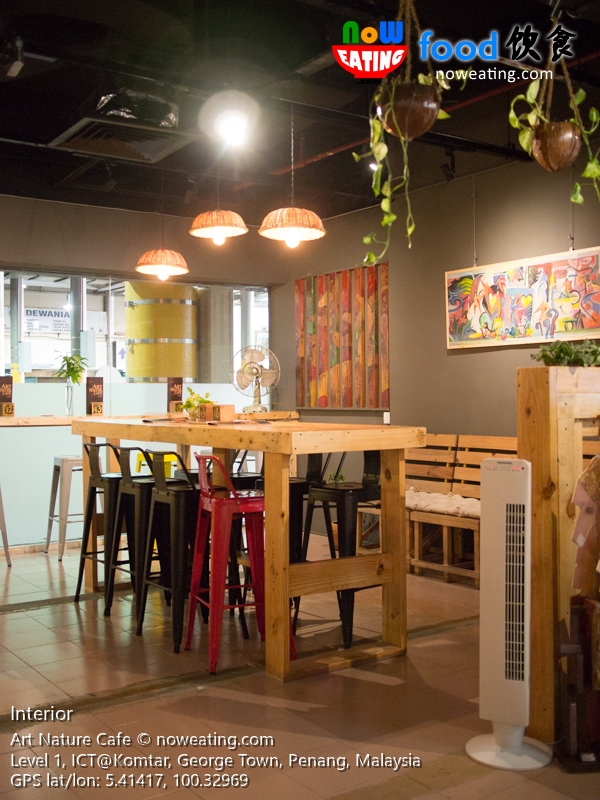 Yin’s latest establishment is a “cafe+organic shop” concept in which other than dining in, you can shop for organic products at Zenxin Organic Food Malaysia next to the cafe. 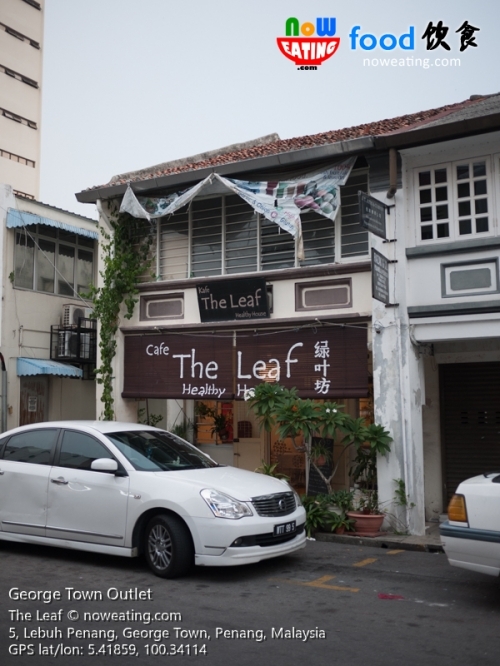 The Leaf is one of the pioneers in Penang promoting healthy cuisine in modern cafe environment. The first outlet was opened at Lebuh Penang, George Town and we visited it couple of times since year 2012. 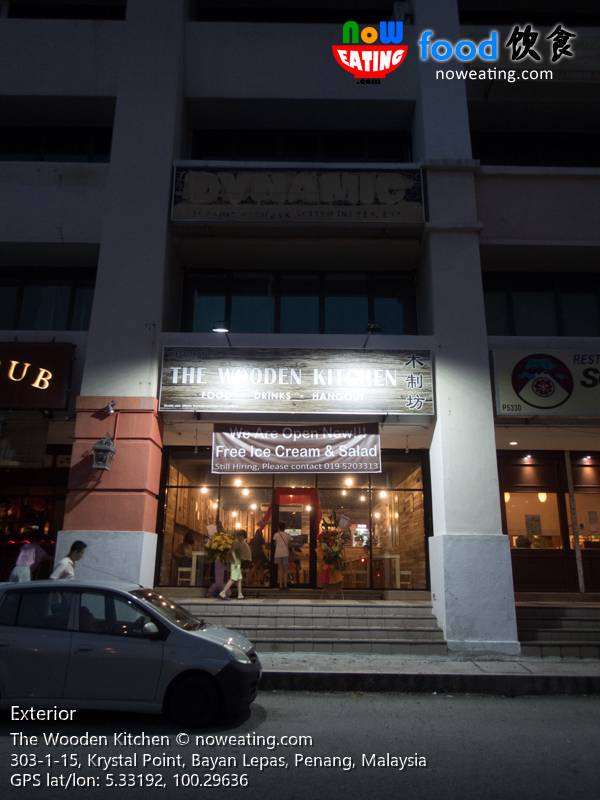 For Bayan Lepas folks, now you have a nearer option as the second outlet (GPS: 5.41859,100.34114) is now opened at D’Piazza, Bayan Baru, Penang. That’s it, all the profit will be used for charity purposes. Isn’t it wonderful that you are able to contribute back to society while enjoying your meal? 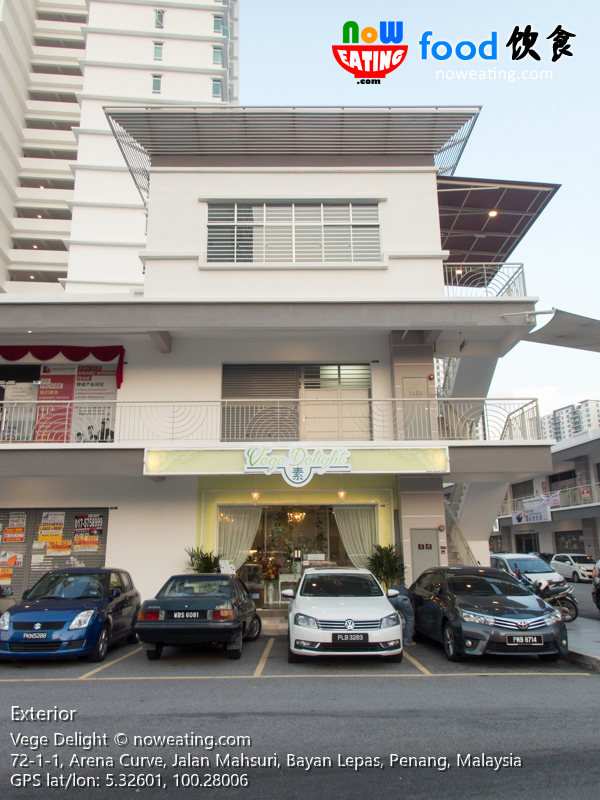 Since Arena Curve near Olive Tree Hotel imposed paid parking system, cheapskates like us seldom visit this new commercial building in Bayan Baru. 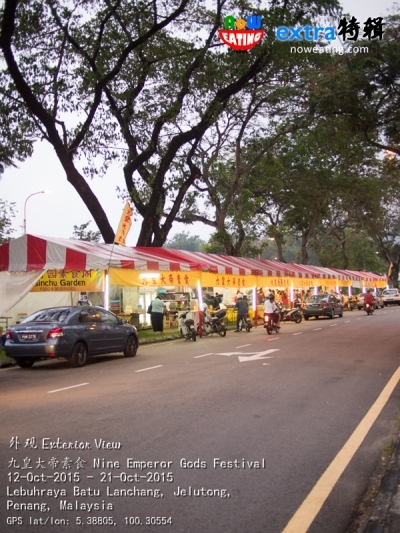 Still you can park your vehicle outside the private compound for free. 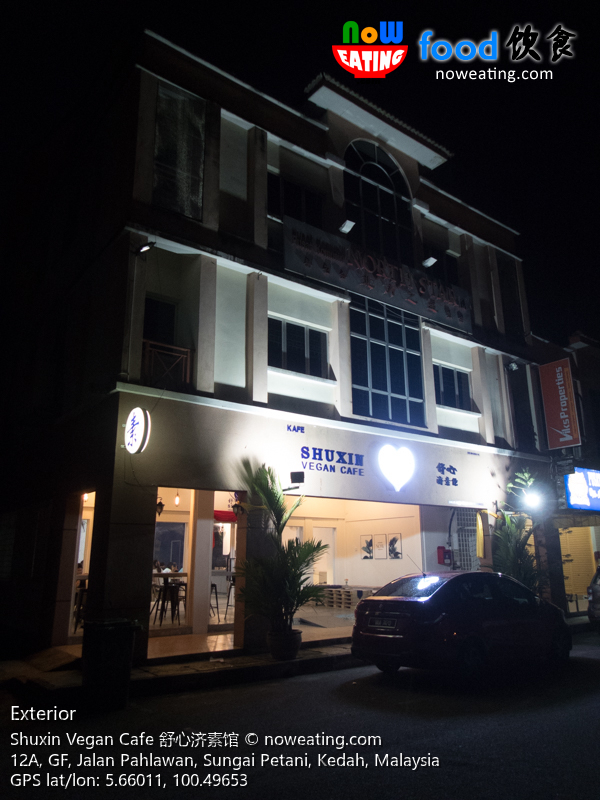 Fortunately, Vege Delight (GPS: 5.32601,100.28006) in Arena Curve is located just opposite of Arang Coffee and we walked our way to this new restaurant one evening for some “Choo Char” dishes in vegetarian way. 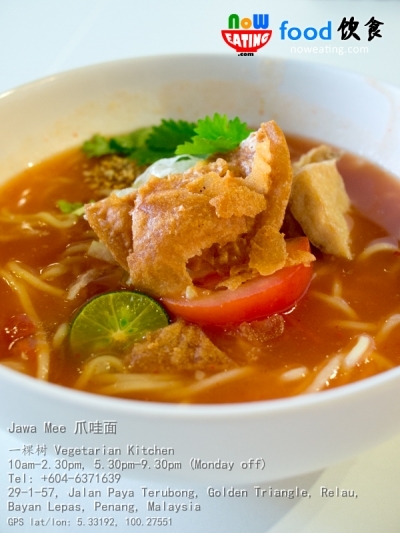 Jawa Mee for RM2? Yes, this was the promotion item by 一棵树 Vegetarian Kitchen in conjunction with its opening recently. More important, it tasted as good as those non-vegetarian version. We particularly liked the silky smooth sweet and sour gravy made of sweet potato and tomatoes. Whole spring chicken marinated with rosemary oil and Balsimic vinegar – a premium Italy vinegar made from white grape juice. According to the chef, chicken and balsamic vinegar is the perfect combination because the vinegar flavors suits the method in making sauces and is perfect as marinade for a chicken dish. 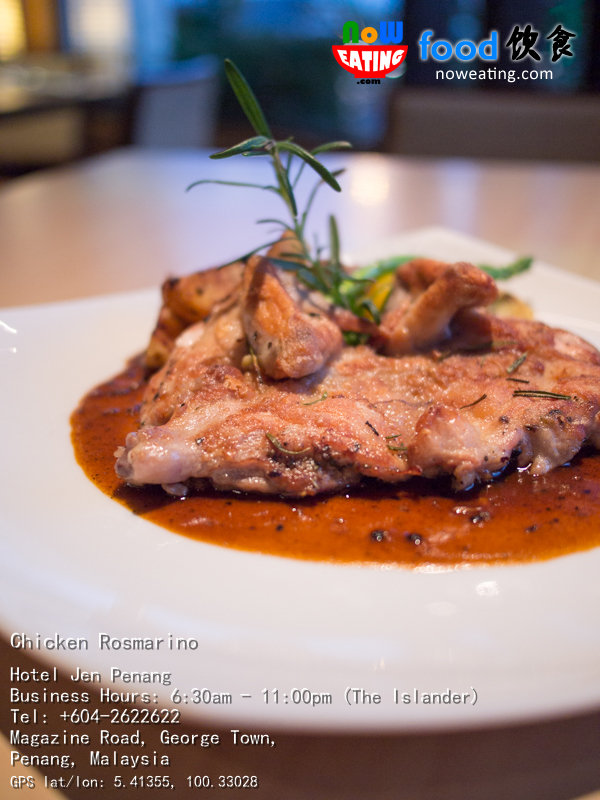 This Chicken Rosmarino (RM58) was just one of the main dishes we sampled at the new Hotel Jen Penang, George Town, Penang.